A collection of more than 270 unretouched vintage photos from the heyday of NASA's space program have gone on display in a London gallery. Take a look at this sampling and relive the excitement. With the manned space program on hiatus as NASA and private contractors get ready for the next phase of space flight, the Breese Little Gallery in London has opened an exhibit called "For All Mankind" that shows off a huge collection of old photos from 1964 to 1983. The showing will run through February 22. The vintage photographs on display, many of which retain original NASA catalogue stamps on the reverse, were taken by the men, women and machines of NASA over a period of 20 years. 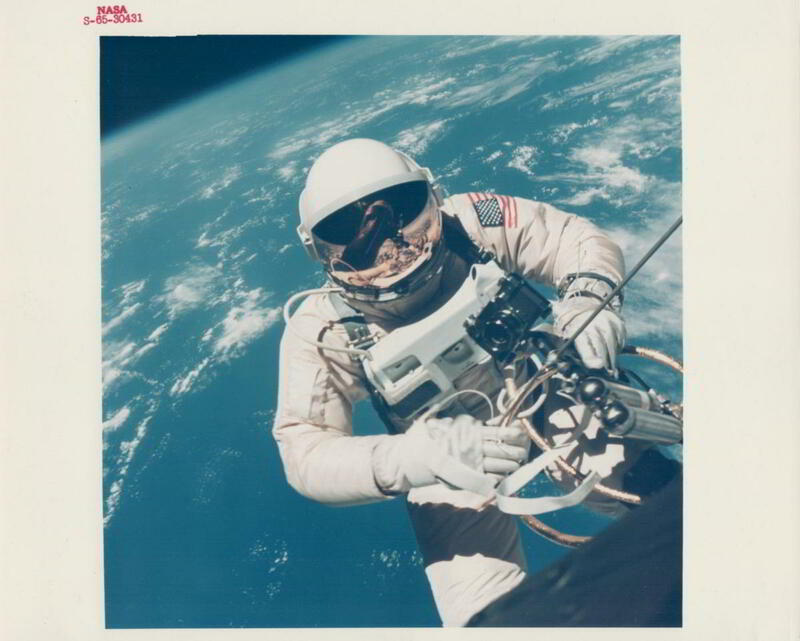 They include photographs from the Gemini 4, 5, 6, 7, 8, 9, 10 and 11 missions; Apollo 4, 8, 10, 11, 12, 13, 14, 15, 16 and 17; the Mars Viking missions and the Jupiter Voyager missions. They also include historic images such as the world's first picture of the Earth taken from the vicinity of the Moon (December, 1966), and iconic images such as the 'Earthrise' view taken from Apollo 8 and the 'Blue Marble', the first ever full Earth view (Apollo 17, December 1972). Click through this small sampling of the images that should make you dream of being an astronaut.